Milled, freeze dried leaf of the Backhousia citriodora species, a native Australian tree also known as Lemon Scented Myrtle, Sweet Verbena Tree, Sweet Verbena Myrtle, Lemon Scented Verbena, and Lemon Scented Iron-wood. Lemon Myrtle is a medium sized native tree originating from the coastal rainforest areas of Queensland, and now growing in the beautiful pristine region of northern New South Wales. Lemon Myrtle is one of the most cultivated and commercially mature species in the native food industry and shows wonderful potential as a specialist food ingredient, functional food and cosmetic ingredient. The leaves contain the highest amount of citral [>90%] of any plant known in the world, leading to a common description that it is ‘lemonier than lemon’. High in antioxidants, Vitamin E, Calcium, Zinc and Magnesium. it also has anti-microbial and antifungal properties. Recently receiving high demand from Asia Pacific regions. Social responsibility and fair trade is practiced. it can be used as a substitute to lemon grass in cooking, and is particularly popular as a flavour enhancer in curries and pastas. 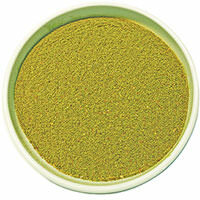 Particle size, free flowing herb. The leaf of the Backhousia citriodora contains a complex range of primary compounds and antioxidants that is responsible for the distinct, lemon, lime and lemon grass odour and free flowing herb green colour. Freeze-drying by freezing the material and then reducing the surrounding pressure to allow the frozen water in the material to sublimate directly from the solid phase to the gas phase.